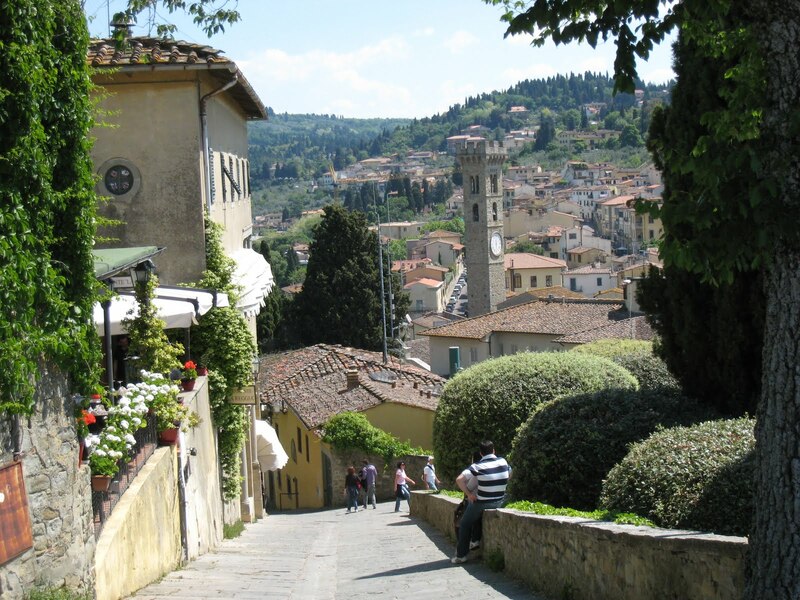 One of the reasons we chose Fiesole as our base in Tuscany was to have easy access to Florence. Florence has changed since our last visit in the mid 1990’s—-more cars, more traffic jams, and far fewer parking spaces. We quickly discovered that driving in Florence is a major challenge and parking is practically impossible. We found the pedestrians even scarier than the drivers. They would dart out into the streets seemingly unconcerned about their safety. We had one near-miss. Our first drive into Florence was a nightmare. Signage was bad, street signs were lacking, and it took us over an hour to find a parking space. We would have taken a bus into Florence and avoided all this, but there is no long-term parking in Fiesole and we had no place to leave the car. Since our rental property was at the top of a steep hill, we couldn’t leave our car there because there was no way we could walk up and down that hill to get to the bus stop. We had no choice but to drive into Florence.Fortunately, Rick is a quick study and by the time we left Florence he was easily navigating the streets of Florence. What really made our lives easier was our discovery of what we called “the secret parking place” which we stumbled upon by accident. From the road it looks like a little parking lot jammed with cars. However, behind these cars is an opening to a long narrow parking lot strung along the old city walls, with about a half mile of precious parking spaces. There were always spaces available, so when we drove into Florence we parked there and either walked or took a cab to our destination. Of course our secret parking place was no secret to the locals. We heard no language other than Italian in the parking lot and saw no people other than ourselves carrying tourist guides. If there is a next time in Tuscany, we will be carfree. Amazing service Riparazione iPhone Guides. They have fixed my phone twice and both times they were quick, pleasant, and very professional. Gary is great! I've been to both financial district and marina district and they are equally good. Excellent, efficient, timely service; Fair price, good work, and a warranty!